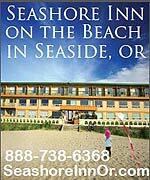 (Oregon Coast) – The beaches do the darnedest things. The kookiest stuff can wash up on these sands – especially that which you can see right through. 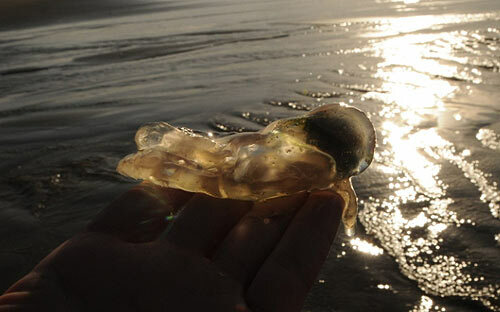 (Above: a large salp, photo courtesy Tiffany Boothe of Seaside Aquarium). As the heavy beach-going season begins, make sure you look down a lot. Some see-through surprises may delight you, in the form of two wacky kinds of almost-jellyfish. Early spring and summer are a good time to start spotting a certain kind of jellyfish that you may mistake for a tiny bubble. They look like little bubbles sitting all by themselves in the sand, usually far from the tide where bubbly sea foam would be. 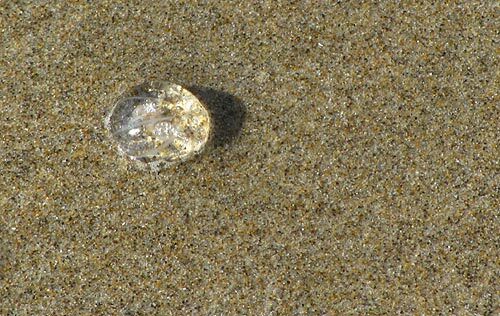 It’s called a Sea Gooseberry (Pleurobrachi bachei) and it shows up fairly often during spring and summer on the beaches. 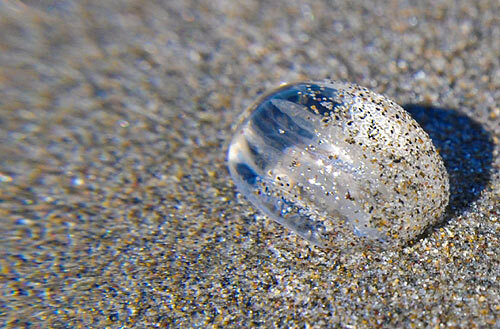 (Above: a sea Gooseberry on the beach at Oceanside). As small as they are (about the size of a quarter), they’re actually the largest animal that swim by means of cilia. The picture here, by Boothe, shows them in a tank at the Seaside Aquarium: truly angelic, surreal little creatures. “Adults vary in size depending on species from a few millimeters to 59 inches in size,” Boothe said. They have sticky branched tentacles which they use to snag prey, moving in an upward spiral motion to aide in this endeavor. 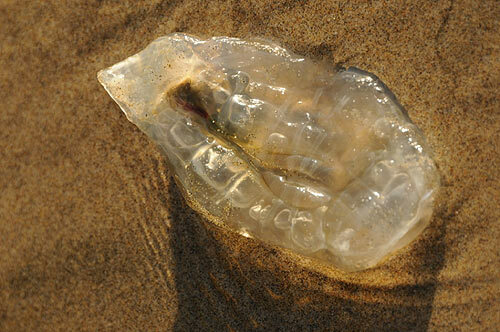 Then there are salps, the larger of which are actually fairly rare on the coast. 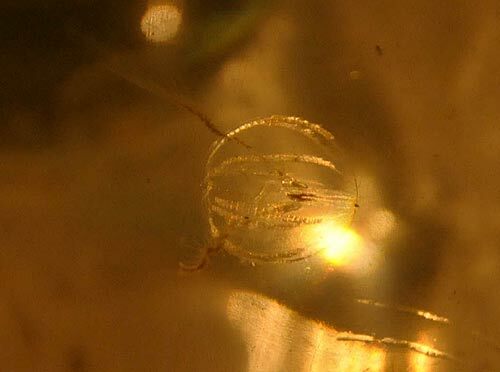 The smaller salps show up with a fair frequency, but the jumbo kind are an exceptional find. They are big and gelatinous, but strangely not really a jellyfish. 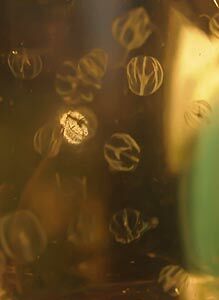 Salps are filter feeders, able to filter up to 2.5 liters of water per hour, Boothe said. 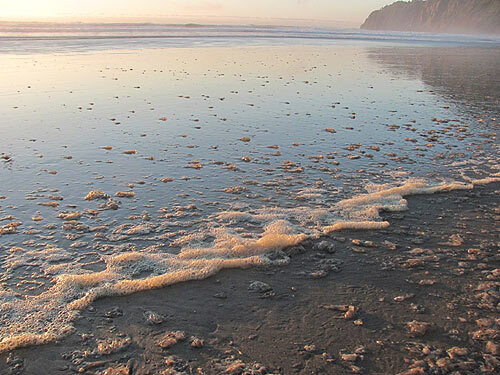 These particular photos from Boothe were from a find just south of Cannon Beach – a really large blob she hadn't seen before, which she believes is the species Salpa maxima. The smaller kind, Salpa fusifomis, show up fairly often she said. They can hit the beaches in incredible numbers, not unlike the velella velella that literally invaded the Oregon coast last month. “Just another fun thing to keep your eyes on the look out for,” Boothe said. 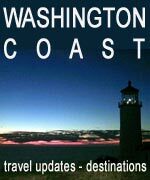 These wacky, translucent finds, as well as the Purple Sails, along with most stuff you find on beaches, happen because of westerly winds blowing these floating objects onto land. 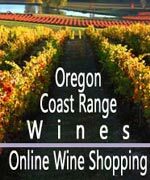 In the case of most animals like these, it's because they're following currents in the ocean near this coastline and find themselves blown off course. Salps – large or small – cannot sting. Neither do gooseberries, and they are a kind of jellyfish. In the past, Seaside Aquarium has scooped a few up off the beach and then been able to bring some back to life in a tank. Below: gobs of smaller salps at Manzanita.